It's 06:31 in Hermosa Beach, USA right now. 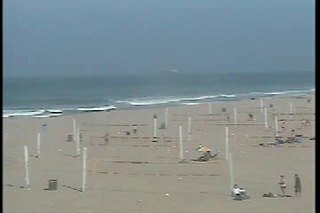 Live Surf Camera The Hermosa Beach Live Surf Camera has the world's best view of the historical Pier and surf. Hermosa Beach, California: Hermosa Beach Pier, 0 miles away. Manhattan Beach, California: El Porto Beach, 1.6 miles away. Manhattan Beach, California: Manhattan Beach Pier, 1.6 miles away. Torrance Beach, California: Live Surf Camera, 3.6 miles away. Rancho Palos Verdes, California: Point Vicente Lighthouse, 8.4 miles away. Rancho Palos Verdes, California: Point Vicente, 8.4 miles away. Marina del Rey, California: Marina Aquatic Center, 8.6 miles away.